Danny Ruiz and Venco Concrete and Masonry are well versed in all areas of concrete pavers. They have been constructing stone and concrete pavers in Camarillo, and the surrounding areas for 30+ years. There is no one else you want engineering your stone or concrete on your residential or commercial property. The use of concrete pavers is growing rapidly on both commercial and residential construction projects. Interlocking pavers form a patterned surface which can be put into service immediately. Pavers are manufactured in various textures and colors. A big benefit of pavers is that they can be removed and re-installed, which reduces future service interruptions. Pavers are most commonly installed over a compacted base of soil and sand. Because there isn’t any grout between the joints, concrete pavers offer a permeable surface that allows water to pass through. However, this also means that they may shift over time and that weeds could grow between the stones. Hiring a professional paver contractor to install your pavers, rather than laying them yourself, is the best way to protect your patio, driveway or sidewalk from these concerns. Are less susceptible to cracking. Tree roots, shifting soil, freezing, and thawing can cause cracks to form in large slabs of poured concrete. Because pavers are smaller, and move independently, the same conditions won’t cause cracking (but may cause the pavers to shift position). Help eliminate runoff. The spacing between pavers enables water to permeate the area rather than run off a larger field of concrete. And, no puddles will form. Offer better traction. The joints between pavers provide a built-in device for better footing. Can be more visually pleasing. Pavers can offer a geometry that poured concrete can’t. And, that’s not even taking into account the myriad options for the plants or other organic materials that fill the spaces between pavers. If you have a project that will involve putting in a stone or concrete area outside of your home, you will want to contact VenCo Construction. This is a company that has been serving the Camarillo area for many years, and they can certainly help you with your property. One of the problems that people have is locating a business that is competent with both stone and concrete jobs. These are projects that are typically far beyond the abilities of most people. Here are the reasons why you should contact VenCo Construction, a company that specializes in stone and concrete pavers projects. We are your concrete contractor in Ventura County. This is a company that is owned by Daniel Ruiz, a licensed contractor that lives and works in Camarillo. This family-owned company has been providing services since the turn of the millennia, and they have 30 years of combined experience in this industry. Following in his father’s footsteps, he decided to do something that he knew how to do, and that he could do with integrity and honesty. Let’s go over a few of the services that VenCo Construction provides, and then show you why they should be your top choice when looking for stone and concrete pavers. They offer several different services which will include driveways, walkways, and patios. They also do stamped concrete, block walls, and also retaining walls which are in high demand in the construction industry. However, if you are focused solely upon finding stone and concrete pavers, this is the company that you need to use. They are able to do both residential and commercial projects, using interlocking pavers that will create that unique patterned surface that will help your home stand out from the curb. Additionally, since there is no mortar or grout that is used in between the bricks, it is possible that weeds could come through. However, this will only happen over time as the bricks shift ever so slightly, something that is unlikely to occur because of how tightly they will construct this for you. You can call them up on their phone, or send them an email. They also have a form on their website that you can use in order to contact them. It is a company that works with both new construction projects, and remodeling projects, and they should be able to help you with your stone and concrete pavers job. By contacting them early in the spring, this will give them plenty of time to schedule you in to complete this project. It will be worth the wait because of the quality of work that they do in the low prices that they offer for their services. In most cases, they will be able to come out to provide you with an estimate. They will take measurements, and then provide an official one in the next few days. Depending upon their schedule, it may take them a few weeks to come out to your location. 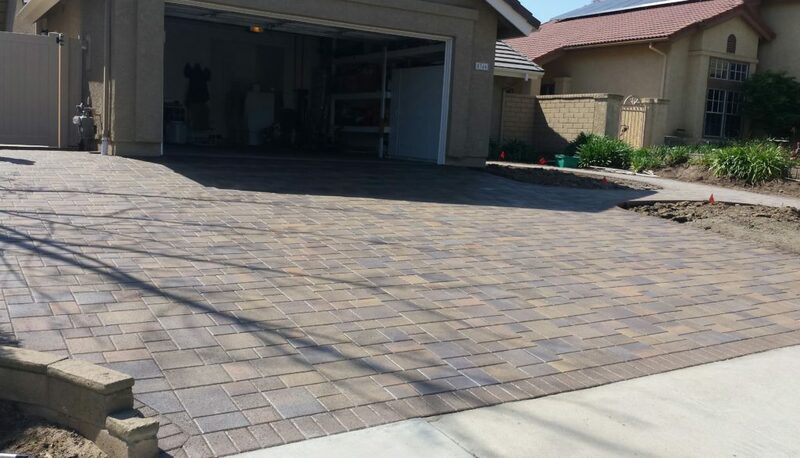 Once you are scheduled in, you can look forward to a brand-new driveway that will look exceptional, courtesy of these stone and concrete pavers in Camarillo. If you have been hesitant in hiring a company to provide you with stone and concrete pavers, there is no need to wait any longer. Contact VenCo Construction to learn more about the services that they offer, and allow them to get started in providing you with an estimate. This is a company that you can trust to produce professional results, regardless of the size of the project. Call or email Danny Ruiz today so that he can begin to start working with you.